Ryan Couture, son of UFC Hall of Famer Randy “The Natural” Couture, has signed a multi-fight agreement with Strikeforce and will make his professional MMA debut on Friday, August 13th at the Strikeforce Challengers event at Dodge Theatre in Phoenix, Arizona. The 27-year-old Couture will face Lucas Stark in a 3Round lightweight affair. Looking to make a name for himself in the sport his father helped pioneer, Couture compiled an amateur record of 5-1-1 competing as a lightweight with all of his wins coming by way of submission. Following high school, Couture enrolled in Western Washington University in Bellingham, where he graduated in 2004 with a mathematics degree. He worked at a local bank until he realized his desire to work in the family business. 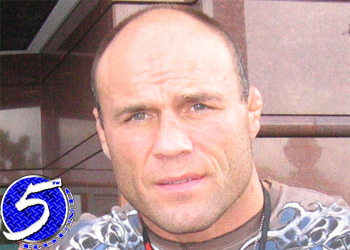 Couture began his MMA training in 2006, working diligently to mature into a well-rounded fighter. He quickly added Muay Thai and a dangerous submission game to his ever-growing repertoire. In January 2008, he finally bit the bullet and moved to Las Vegas to train with his father at Xtreme Couture. In his final amateur bout on March 26th, Couture fought to a draw against Sean Bollinger for the Tuff-N-UFF 155-pound title fight at The Orleans in Las Vegas.